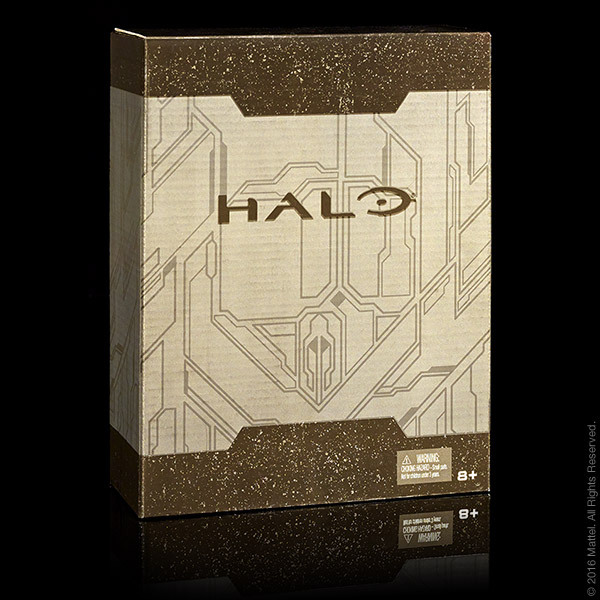 If you’re one of the lucky few who get to go to SDCC, you have the opportunity to get a very cool Halo exclusive! 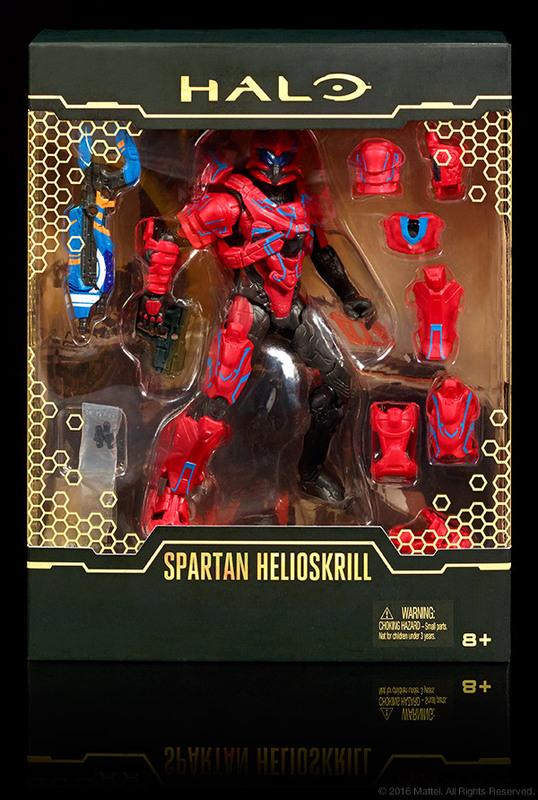 The Spartan Helioskrill from Mattel is the first exclusive from Mattel (Not including Mega Bloks). 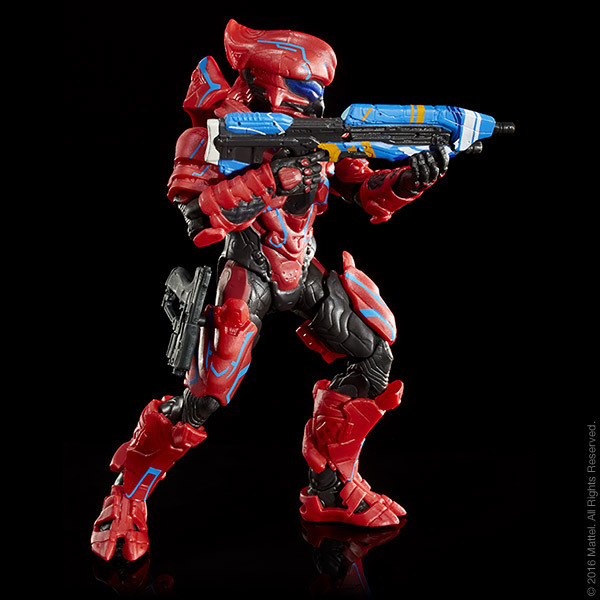 Mattel’s new 6” action figure series brings the world of HALO to life with an iconic line of UNSC Spartans and Covenant forces! 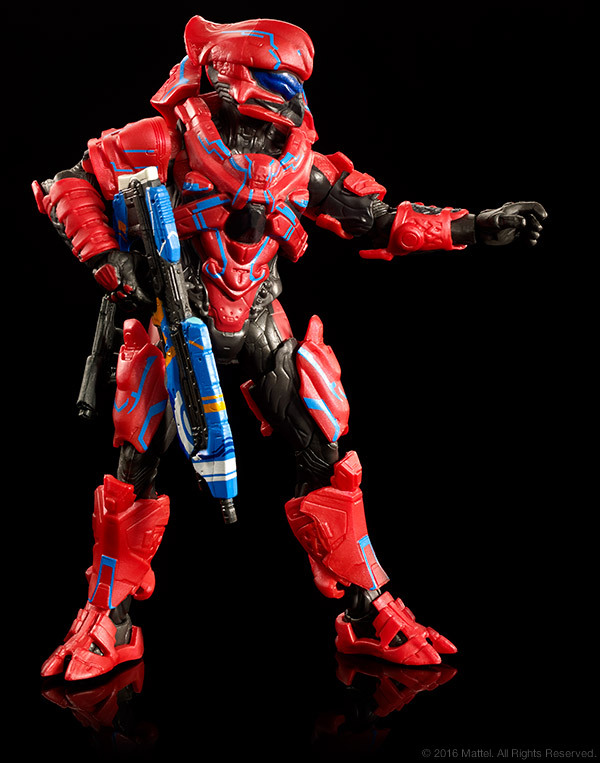 This collector’s grade Spartan Helioskrill figure is designed with extreme detail and includes legendary accessories, removable armor, and 30 points of articulation for a highly poseable form. This figure includes a fully interchangeable, mix-and-match armor suit and 2 accessories so you can customize your figure with others in the full line. 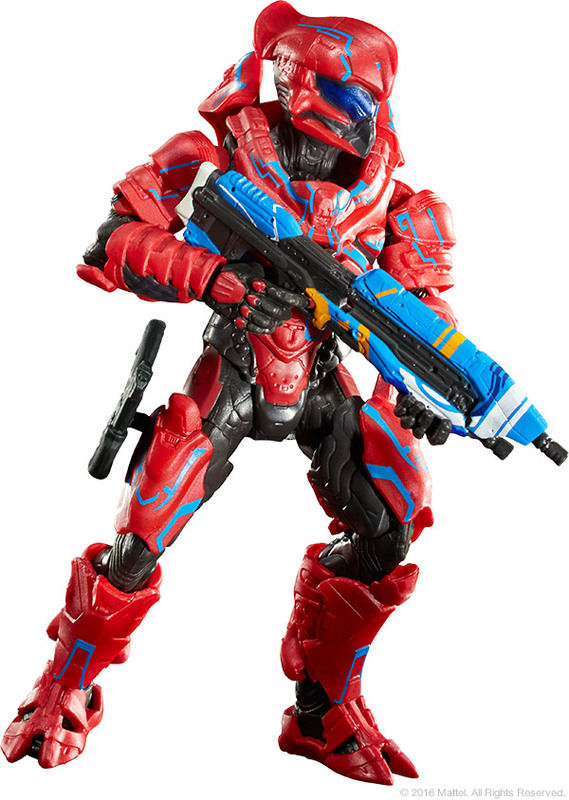 For San Diego Comic-Con only, figure comes with unique blue armor skin, RECRUIT visor, and legendary “Bracer” MA5 accessory. It comes packaged in this nicely printed box. Something many of we collectors will keep no doubt! 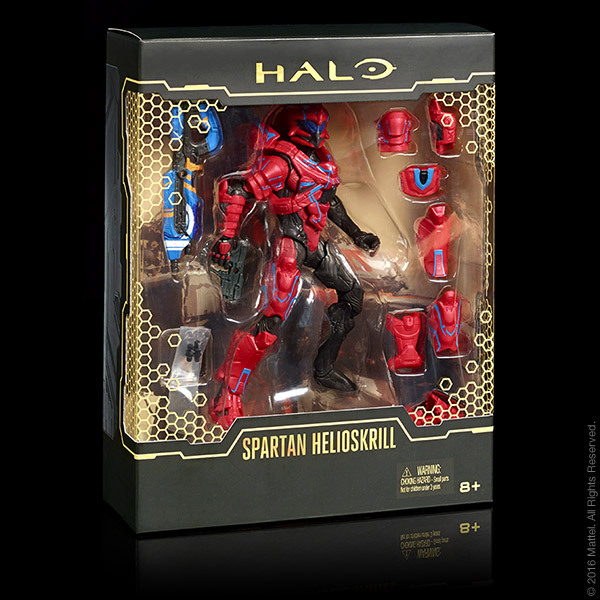 Once removed from the box, you get the actual packaged that the toy spartan is displayed in. I have to say, this is a very nice presentation. Doubtful each figure will get this look in the line, as this one is exclusive. I definitely like that much of the armor is removable! Let’s take a look at the figure itself. Lots of great detail here. Definitely liking that the AR comes as a skinned weapon and not the standard design! The back of the figure looks great too. 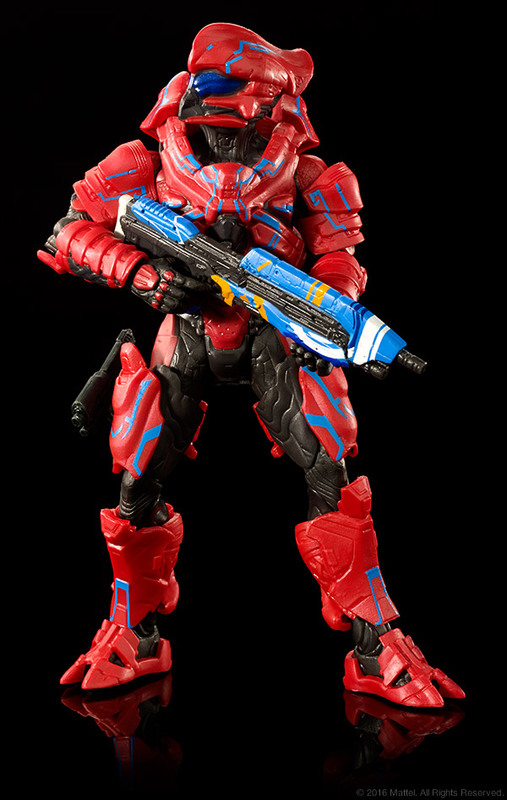 I’ve seen complaints by other Halo fans that these figures would be flat on the back. I think this pic right here says otherwise! 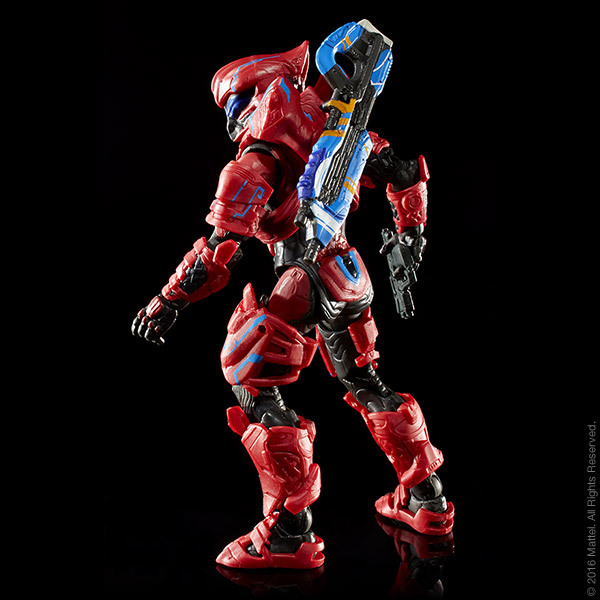 This position shows just some of the versatile articulation that Mattel is putting into it’s Halo action figure line! Another good shot at the front of the figure. Another shot of the packaged fig. The only major complaint that I’ve heard thus far is that the figure looks too plastic. Well… Folks, it IS a toy after all. This is NOT the McFarlane line. These are meant to be toys to be played with, not kept in the package (though nothing wrong with that of course and certainly not with the SDCC exclusive). At $25 this is practically a steal for an exclusive. Which reminds me…I won’t be able to go to SDCC this year. So, if any of you are and perhaps can pick one up for me, contact me at sal@halofanforlife.com so we can work out the specifics. 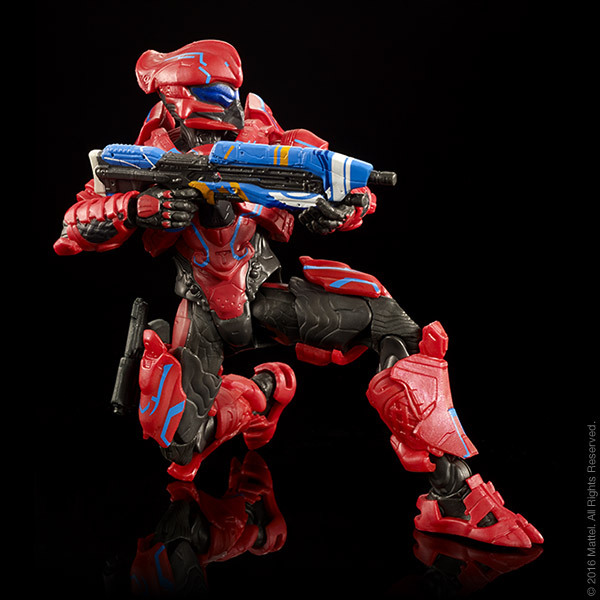 This entry was posted in Halo Collecting, Mattel by Sal. Bookmark the permalink. Hopefully I’ll be able to grab one off eBay for a good price. Last year I grabbed the mega bloks exclusive off eBay during SDCC cheaper than mattel had them online after SDCC. Even if it is just a toy, looking too plastic is a turnoff as it just looks cheap. Those 12 inch figures are way to skinny. Those may be a rare few Halo toys tat I pass up. This 6″ scale though, I’ll get. Though I do echo your sentiments that they look cheaper. McFarlane’s looked great. Two issues I had with those figs though were the hips joints weren’t good enough and inhibited much poseability. The other being the figures themselves being able to stand. It’s difficult to get many of them to stand properly. With the Mattel line, it looks like they’ve answered those issue. So it’s a give and take sort of thing. More toy looking but better poseability.